Congratulations on the birth of your baby! Today we are going to talk about the umbilical cord and how to care for it until it falls off naturally on its own. Lets start off by talking a bit about your baby’s lifeline; the umbilical cord. The umbilical cord consists of two arteries and a vein which bring nutrients and oxygen rich blood to your baby while removing waste. The arteries and vein are protected by a gelatin like substance called Wharton’s jelly (named after the English anatomist Thomas Wharton who first described it) which keep them from being compressed by the baby and cutting off vital oxygen. Up until the instant the baby is born and the umbilical cord is cut, it is keeping your baby alive and healthy. 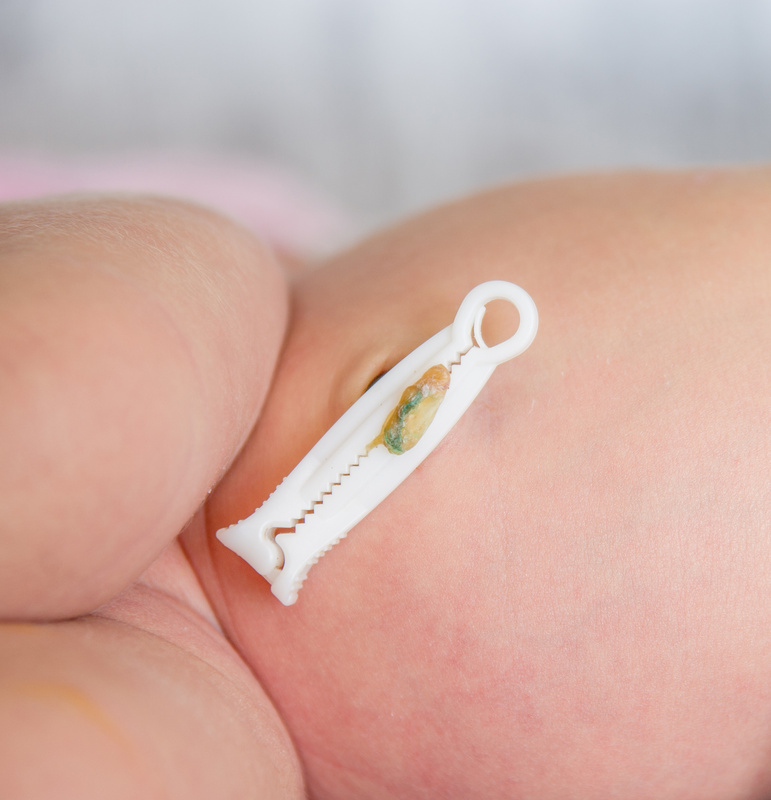 Pediatricians used to suggest wiping the cord with a swab of rubbing alcohol to dry it out. We now know that that is unnecessary and can actually dry your baby’s skin. The American Academy of Pediatricians (AAP) suggests leaving it alone until it falls off naturally (sometime before 8 weeks). You can help keep it clean and dry by only giving your baby sponge baths until it falls off, folding down baby’s diaper to avoid rubbing, and not pulling or tugging on it. You want to reach out to your care provider if you notice a foul smell or puss coming from the umbilical stump as this could be a sign of infection. If there is bleeding (more than a drop or two on baby’s clothing or diaper) or redness you might also want to reach out. The cord stump should fall off by 2 months of age, if it has not there may be something else at play and you should give your provider a call. As always, trust your instincts. If something seems “off” it is best to reach out. Nitrous Oxide is now available in Central PA !